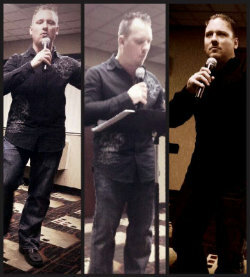 Go to www.blogtalkradio.com/pastor-james-brandt for more details and to listen to past BlogTalkRadio broadcasts. The call-in number is 657-383-1546. James Brandt preaches and teaches the Word of God in such a way that is easy to understand and that will help you grow spiritually in God's Word. His bold and uncompromising delivery of God's Word creates an atmosphere of faith that allows the Holy Spirit to minister to each person in a powerful way. James ministers under a strong prophetic anointing that will cause you to leave each service with a greater hunger and passion for God's Word, manifest presence and power in your life! 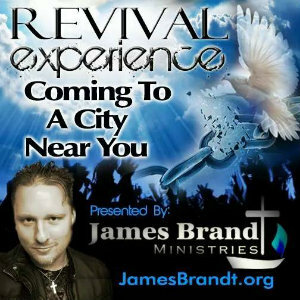 James Brandt is a graduate of RHEMA Bible Training Center in Tulsa, Oklahoma. While attending RHEMA, he was employed by the Oral Roberts Evangelistic Association working with the Abundant Life Prayer Group. He is an Ordained minister of the Gospel of Jesus Christ, and has been ministering since 1999.